Newport Gwent Dragons marked their first visit to play at Ebbw Vale by beating English champions Northampton Saints 27-25 in a pre-season game. Tom Prydie scored a crucial try with five minutes remaining at Eugene Cross Park to level the scores, then held his nerve to kick the winning conversion. 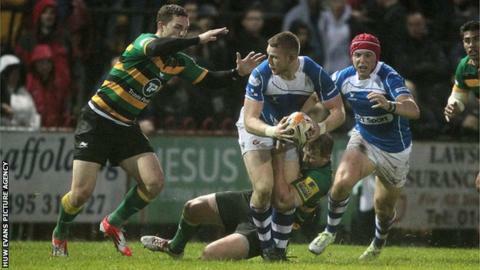 Saints seemed set for the win after two George Pisi tries, one from James Wilson, plus Will Hooley's kicking. But Aled Brew and Cory Hill crossed for Dragons before Prydie sealed victory.